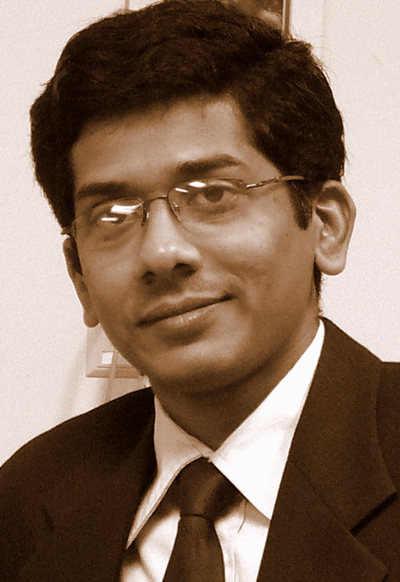 DSP group alum Aswin Sankaranarayanan (Postdoc 2009-2012, Assistant Professor at CMU) has received an NSF CAREER Award for his project "Plenoptic Signal Processing — A Framework for Sampling, Detection, and Estimation using Plenoptic Functions." He will be exploring how light interacts with objects in a scene by studying characterizations of light that go beyond images. A key objective is to study light-object interactions at unprecedented space and time resolutions, thereby advancing research in many disciplines including computer vision, graphics as well as 3D acquisition and printing. Congratulations!